Jason Scott serves as a Senior Sales & Leasing Executive in the Mobile and Pensacola offices and is Broker for the Florida office. He has over thirty-nine years of experience in all aspects of commercial real estate. His emphasis for the past twenty-nine years has been commercial property management, investment sales, leasing of retail and office, and industrial product. Beginning his career in commercial construction, Jason worked for Opus Corporation for twenty-one years, gaining extensive experience in construction, project and property management, and leasing of commercial properties. Prior to joining Stirling Properties in 2014, Mr. Scott worked with John Toomey & Company for fifteen years and was instrumental in business development and client retention. While there, his focus included third-party managed assets, facility management, leasing, financial reporting, budgeting, and client interface. 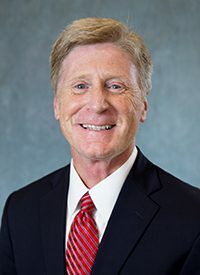 Mr. Scott is an active member of the International Council of Shopping Centers (ICSC), the Retail Brokers Network (RBN), the Pensacola Association of Realtors, and NAIOP. He holds brokers licenses in both Alabama and Florida. A lifelong resident of Baldwin County, Jason resides in Lillian, Alabama, with his wife and three children.